One of London's best experiences is definitely visiting a few of the cities famous markets. I suggest you visit at least a few from the list bellow. Borough market - Fruit wholesale (04:00-08:00 Mon - Fri), Farmers' Market (12:00-17:00 Friday, 10:00-16:00 Saturday). Camden market - Weekends from about 09:30 to 17:00. Columbia Road flower market - Sunday: 09:00-12:00. Covent Garden market - Great atmosphere, but not for shopping. Open every day 10:00-18:00, atmosphere: all the time. Greenwich market - A series of small weekend markets selling antiques, arts & crafts, clothing and books. Open on weekends. Portobello market - Loads of antiques and various unusual items. Saturdays from about 06:00 to about 16:30. Spitalfields - Fruit and vegetables (Sunday: 10:00-16:30). To sum it up - the best time for a visit is during a weekend when they really burst into life. You should however expect most of them to be pretty crowded. Unfortunately I didn't have enough time to visit all of the mentioned markets. Besides many bargains waiting for you, there are also food stalls to be found in some of the mentioned markets or nearby (e.g. Camden Town). Food is usually fresh, tasty and quite affordable. 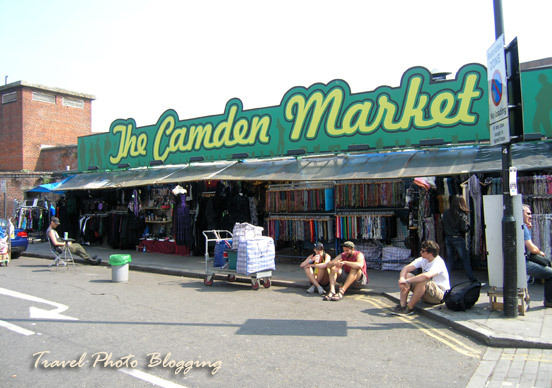 If you do not have time to visit them all and can't decide for one of the mentioned markets, I suggest you go to Camden Town, where there is a little bit of everything on offer. 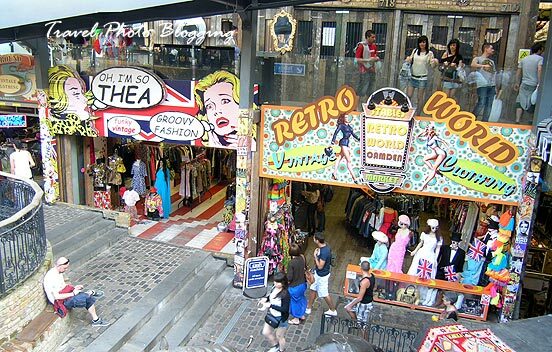 Camden Market is just one part of it. I'm from England, have been to London, but unfortunately, have never been to any of those listed markets! I love Camden Town!!! I can't wait to visit again. I work right near Borough Market but have decided it is boring and expensive when compared to Camden.